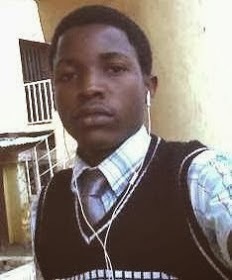 A part-time student of The Polytechnic, Ibadan, Oyo State, Timilehin Ayobami Ogundare has been found dead in his room at Ilupeju area, Baasala, Asero, Abeokuta, Ogun State in western Nigeria.He was believed to have committed suicide by hanging himself.P.M.NEWS also gathered that the deceased was a computer operator with a firm, Blueprint Music Studio in Abeokuta, before his death.A family source who did not want his name in print disclosed that the deceased tried to kill himself last year but was stopped by some people. The relation revealed that the deceased was arrested by some security guards and handed over to men of the state vigilance service when he attempted to jump into River Ogun. He was later released. “The whole issue is still like a drama because I don’t know what could have made him decide to take his life. We have been looking for him since January 1. Later, we heard that he went to Lagos. He boarded a train from Lagos back to Abeokuta on Saturday and came down at Lafenwa. He trekked from the station through Enu Gada area to Ajitaadun down to Arakanga area with the aim of jumping into the river.“He was arrested by the security men in the area when they saw him wandering with only his boxer pant on. They handed him over to the Vigilante men at Oke Ilewo for further investigation. We went there to collect him and we were told to come back with him yesterday. On getting to his room, we found out that he had hanged himself. He left a short note, apologising that he disappointed us,” the source narrated in tears. When our correspondent contacted the spokesman of the Ogun State Vigilante Service, Mr. Soji Ganzallo, he confirmed the incident and expressed shock at the boy’s death. “It is unfortunate that what we tried to prevent eventually happened. They (family) were careless with the way they handled the boy. If the boy had been properly monitored, this sad incident wouldn’t have happened. We got a distress call on Saturday by local security men around Arakanga that a boy was trying to commit suicide by trying to jump into the river. Our men rushed to the area and took the boy to our office.“In the course of questioning him, he confirmed to us that he left home for Lagos on New Year day but did not tell us where and who he went to meet in Lagos. When we asked about his phone, he said he had no phone but only his sim card was with him.“Sensing that his parents will be looking for him, I directed that his sim card be inserted into a phone, hoping that someone will call his line,” Ganzallo said. The vigilante spokesman revealed further that not long after the sim card was inserted into the phone, several calls came in. “We discovered that those calls were from his mother, sister and a pastor. The pastor later called back and demanded to stand as surety for his bail. We agreed.“The man of God arrived with the boy’s mother and some relatives. The pastor’s name is Wole Oyenekan and he gave his address as Egba Inner Circle Building, Abiola Way, Abeokuta.“We questioned the boy but from what I was able to gather, the boy was determined not to tell anybody his problem. The pastor pleaded with me to hand him over to him. I initially disagreed but after much persuasions and assurance that they will monitor him, I released him to them and asked them to come back on Sunday.“I was shocked when I heard the news that the boy eventually carried out his mission,” Ganzallo lamented. Another source disclosed that the teenager perfected his suicide by refusing to go to church on Sunday, feigning illness. “I remember that he told the pastor while coming from the Vigilante’s office that he needed some money to pay for his school fees and the pastor told him to see him on Sunday after church service. After the breakfast, he said he was not feeling well and begged to be allowed to stay back, which was granted.“After the church service, he joined other family members to eat the lunch around 4 p.m. After the food, he went into his room and no one bothered to know what he was doing until around 8p.m. when we were looking for him. When we forced his door opened, we met his lifeless body. He hanged himself with his belt. We went to the Obantoko Police Station to report the matter and the police arrived around 11.45 p.m. and removed his corpse to the mortuary,” he stated. Another post from another friend, Oladipupo Michael Oluwagbemiga read, “E gba mi, Ayobami ti ku ooo,” meaning, Save me, Ayobami is dead oo. Hmmmm... Waiting forward to get more informations about dis bcz i dont no why will a young at his age wil commited suicide. Start following our trades right now and gain up to 270% per day.